A quick way to use MyRecipeIndex is just as an index! Autocomplete learns your ingredients to make it easy to enter your recipes. Search your recipes by ingredients. Watch the list of recipes shorten as you type. 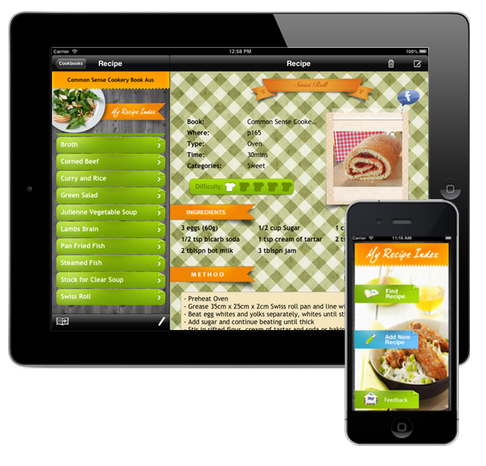 Keep your recipes in sync across your iOS devices with iCloud. Available now on the AppStore for iPad, iPhone and iPod Touch.